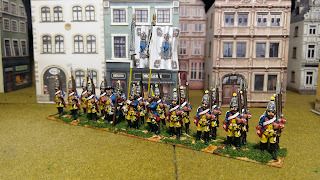 Here is the last of the guard battalions. 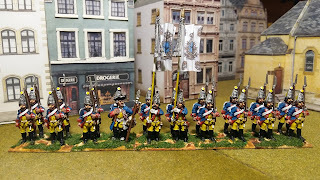 Figures are by Foundry. 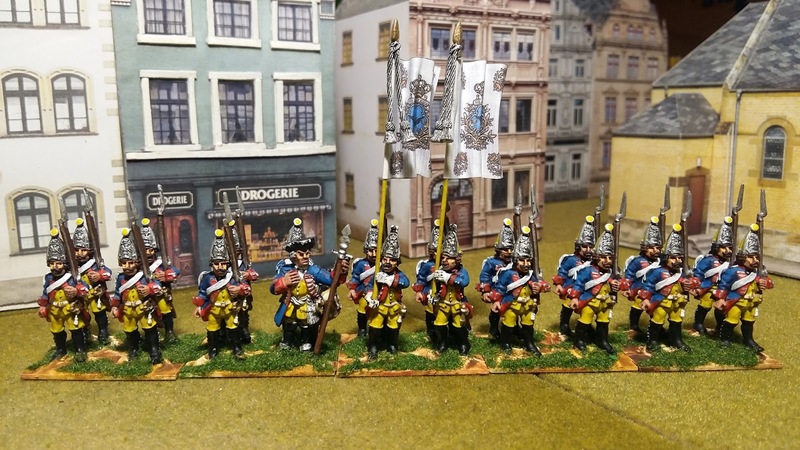 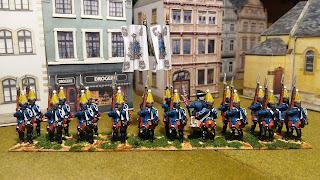 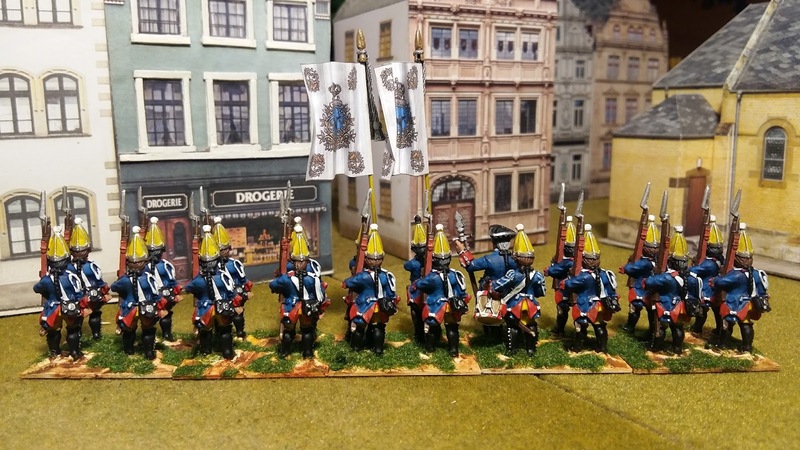 The Prussian army is largely finished and all that remains to paint is some artillery, generals and Frei-Korps Kleist.